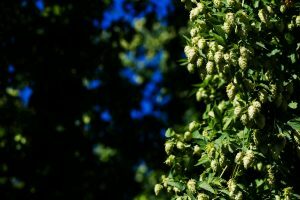 Our tale of the hops pilgrimage of Karl Schmitz, manager, and Johan Sogge, lead brewer, of Third Street Brewhouse/Cold Spring Brewing Co., to Yakima Valley, Washington—largest hops producer in the U.S.—continues today on the choice of hops. The goal for the Third Street pair was to pick the lots of hops they wanted for their craft beer operation. It’s also a chance to test experimental hops. Schmitz said there can be a big difference in hops, even if they are the same variety. Weather and location in a field can make a difference, similar to wine grapes, in hop essence. 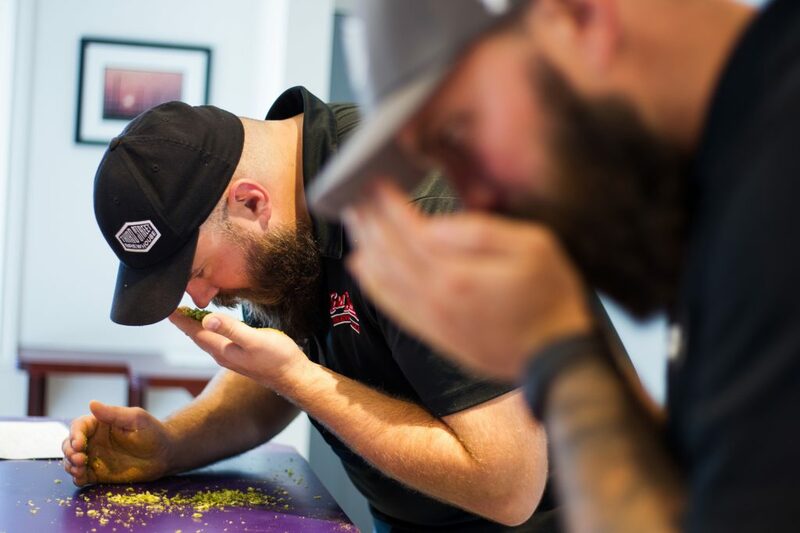 “There are always hops you definitely wouldn’t want,” Schmitz said. He aims for consistency and going to the valley can help assure the bales Third Street receives match the line of beers it has established. 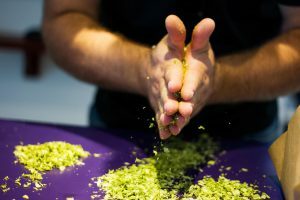 The hops selection process includes grinding the dried hops between the hands to release the oils, then burying one’s nose into a handful of the aromatic leafy pile. Subtle notes can be picked up by repeating the process over and over for each lot and variety: Fruity. Piney. Spruce tip. Red berry. Garlic. Orange cream. These were some of the terms used throughout the process to describe the varieties, which included Bravo, Sterling, Sorachi Ace, Columbus, Glacier, Calypso, Denali and Ekuanot. The scale of the hops processing facilities is massive. Thousands of acres of harvested hops cones are moved from the field to cleaning and separation belts, then through a kiln and drying stage within 48 hours. Then they are packaged and cold stored before being pelletized and shipped around the world in 200-pound bales. 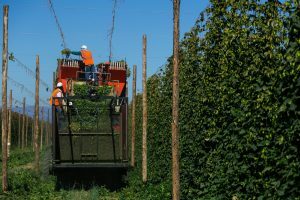 In the fields, hops are harvested by running special combines through the endless rows, cutting the bines from the lattice structures, performing an initial separation and filling up a truck bed within minutes. The trucks deliver to the cleaning facility and the process continues. Schmitz and Sogge said it was a memorable and valuable experience. They were amazed by the size of the fields and equipment. “The processing facility and the kilns were massive,” Sogge said. Third Street Brewhouse (Third Street), is proud to partner with the Minnesota Agricultural Water Quality Certification Program (MAWQCP), in recognizing local farmers for the great work they are doing to protect our local water resources. The MAWQCP program, created by Governor Mark Dayton as a partnership between federal and state governments and private industry, has certified over 240 farmers in 55 counties, totaling over 140,000 acres in just over one year of statewide operation. The MAWQCP is a voluntary program that works with famers and local soil and water conservation districts (SWCDs) to identify and fix risks to water quality on a field-by-field, whole farm basis. Producers who treat all risks to water quality on their operation are certified and deemed to be in compliance with new water quality rules and laws for 10 years. Dairy famers, Dan and Crystal Ley from Richmond, MN, are certified in the Minnesota Agricultural Certification Program. They operate a farm consisting of 54 cows, along with 48 heifers and calves, and 20 pigs. They grow corn, soybeans and alfalfa on 257 acres that have been completely no-tilled since 2007. Every acre in corn or soybeans is followed with a cover crop that is either drilled or aerially seeded. Dan and Crystal are recipients of Minnesota Department of Agriculture’s (MDA), Sustainable Agriculture Demonstration Grant, where they are comparing four different forage cover crops following corn silage. The Ley’s have hosted numerous field days on their farm, highlighting the benefits of no-tilling and cover crops. Other conservation practices implemented over the years include: field borders, grassed waterways, nutrient and integrated pest management, and becoming a certified farm in the MAWQCP. 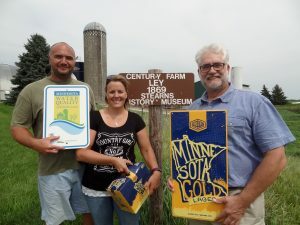 To show our support and encouragement, Third Street provides locally MAWQCP certified farmers with a Minnesota Gold sign and case of beer as a sign of our appreciation! COLD SPRING, MN – Third Street Brewhouse (Third Street), the craft brewery behind popular beers like Minnesota Gold and Hop Lift, announced the promotion of Matt Milbert to Area Sales Manager with the Minnesota brewery. Milbert attended St. John’s University in Collegeville, MN and joined the brewery full-time upon graduating. Milbert’s education isn’t the only tie at Third Street Brewery with St. John’s University. 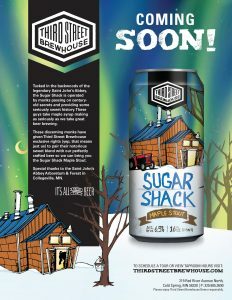 Third Street’s winter seasonal, Sugar Shack has exclusive rights to the maple syrup made by the St. Johns’ Abbey monks. Check out this sweet brew, when it becomes available on November 1, 2016! In his current role as Alcohol Compliance Specialist, Milbert manages brewery operations, determining what beverage they produce, when they produce it and how much they produce. Milbert has been closely aligned with distributors to manage inventory, orders and shipments. Milbert is also in charge of federal excise tax and handles the federal and state licenses. Milbert will start his transition to Area Sales Manager the week of October 24, 2016. 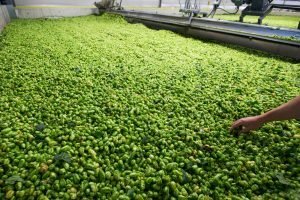 In the Yakima Valley, a hops harvest brings brewers from all over the world to choose from dozens of familiar varieties and—with some luck—to find a special new one that could go into the next great beer back at their brewery. The valley, located in central Washington, is known for its fertile agricultural abundance. Its number one crop is apples, but it’s also known for cherries, pears, wine grapes and several other fruit and vegetable crops. This time of year though, it’s hops. That’s what has the area bustling with visitors. For much of September through the first part of October, growers and crews are busy harvesting, separating, cleaning and processing millions of pounds of hops. Yakima Valley is the world’s second largest hops-producing region; Germany holds the top spot. Of some 43,000 acres of hops grown in the U.S., upwards of 75 percent are grown in the valley. For the first time in the company’s history, Third Street Brewhouse sent its Brewhouse Manager Karl Schmitz and Lead Brewer Johan Sogge out to Yakima for the 2016 hop-selection process. The pair visited two of the area’s hops production facilities, Hopsteiner and John I. Haas Inc. Spending much of one day at Hopsteiner, Schmitz and Sogge sampled more than 20 different lots — made up of six established varieties and four experimental ones — before touring one of the company’s farms and processing facilities. Later in the day, Haas offered four lot samples of a single variety. This was followed by a tour of the processing facility and brewhouse, ending the evening with a dinner party for industry folks. 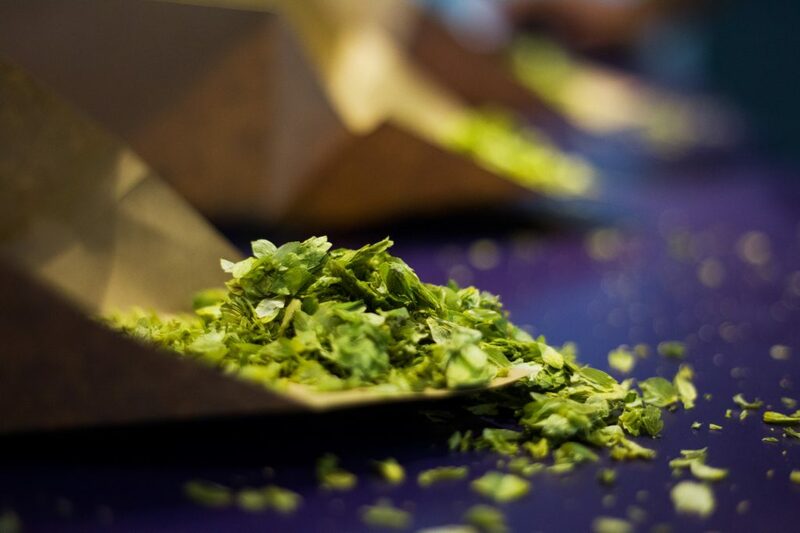 The hops-selection process includes grinding the dried hops between the hands to release the oils, then burying one’s nose into a handful of the aromatic leafy pile. Subtle notes can be picked up by repeating this process over and over for each lot and variety. Fruity. Piney. Spruce tip. Red berry. Garlic. Orange cream. These were some of the terms used throughout the process to describe the varieties, which included Bravo, Sterling, Sorachi Ace, Columbus, Glacier, Calypso, Denali and Ekuanot. The scale of these hops-processing operations is massive. Thousands of acres of harvested hops cones are moved from the field to the cleaning and separation belts, through the kiln and drying stage within 48 hours. 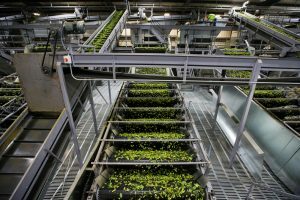 Then they are packaged and cold stored — totaling millions of pounds — before being pelletized and shipped around the world. “The amount of work that goes into those few weeks of harvest is really overwhelming,” said Schmitz, the Brewhouse manager. 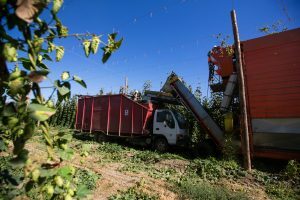 In the fields, hops are harvested by running special combines through the endless rows, cutting the bines from the lattice structures, performing an initial separation and filling up a truck bed within minutes. These trucks deliver to the cleaning facility and the process continues. The trip was a quick one for the Brewhouse brewers, spending a single day selecting hops before returning home to Minnesota. But for Schmitz and Sogge, it was a memorable experience. They’ll never look at hops the same way again. All brewers, they said, should experience a hop harvest at least once in their brewing career. COLD SPRING, MN – Cold Spring Brewing Company, Utilities Specialist, Greg Liesch was awarded the 2016 Felix Anderson Award from RETA (Refrigerating Engineers & Technicians Association). Liesch has been with Cold Spring Brewing Company (CSBC) for nearly 10 years. Liesch is the head of the Utilities Specialist department and actively serves on the Safety Committee. He considers himself a tradesman with great skill in NH3, CO2, N2O, N, compressed air, process welding and fabrication. CSBC operates an ammonia system for production of beer and energy drinks in their Cold Spring Minnesota facility. “The ammonia system is one of my favorite parts of my job,” said Liesch. “It’s challenging and rewarding at that same time. 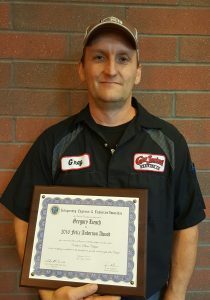 This award reflects my ability to train and quickly understand new systems and my extensive years of troubleshooting as a heavy equipment mechanic.” The ammonia system has over 1400 hp of installed screw and reciprocating compressors providing filler, batching and storage cooling for the entire brewery. Liesch championed a project whereby CSBC was able to systematically reduce process hot water to the fermenters, retrofit the fermenters to modern technology, and greatly reduce electrical consumption from the ammonia system by significantly increasing operating suction pressure year round. The project reduction savings have garnered energy conservation rebates of over $11,000 for natural gas and over $42,000 savings. Liesch has been a member of Northern Plains Chapter of RETA for a little over four years and also serves on the RETA national board membership committee. 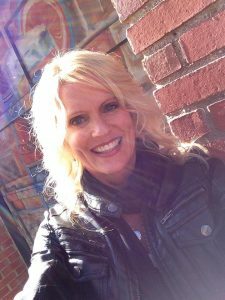 COLD SPRING, MN – Third Street Brewhouse (Third Street), the craft brewery behind popular beers like Minnesota Gold Lager and Hop Lift, announced the hiring of Jodi Peterson as Sales Manager. 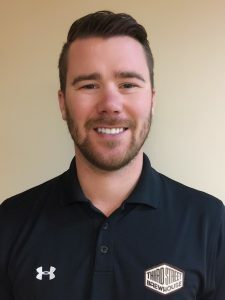 Peterson brings to the sales team over a decade of experience in beverage distribution and sales. Prior to joining Third Street, Peterson held sales positions with Dahlheimer Beverage out of Monticello, MN, and Thorpe Distributing Co. in Rogers. Peterson is no stranger to the food and beverage industry, having spent years as a server and bartender before transitioning into sales – and she knows a good beer when she tastes it. Third Street’s Oktoberfest recently hit the shelves, and was ranked #2 of 55 Oktoberfests by Paste Magazine. For Peterson, it’s not all about the beer. She’s quick to praise her team, and is looking forward to many of the events and special release brews that Third Street has planned for the coming year.